We could all use a breath of fresh air. Whether it’s our boss giving us a break, meeting someone who thinks like you, that guy in the queue at the supermarket turning out not to be racist, your lover organising you a little surprise or just finding a place that sells quality products at decent prices. In the breath of fresh air there is a brief moment where we experience what The Architect calls the ‘quintessential human delusion’; an experience where fortune merrily favours those who grab the opportunity and bite it on the nose. Opportunities come in many forms including making true connections, expanding ideas, activating people, showing true appreciation or financial gains etc. Some of you may have heard of this event up in the Kingdom of Mswati III that serves as a hearty example of the above. On so many levels does the individual experience an inward broadening, a warming of the cockles, when really surveying the happenings of this event. 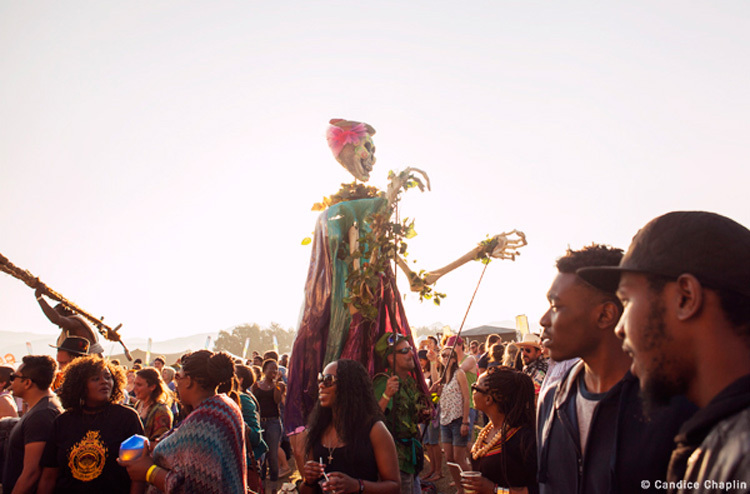 MTN Bushfire is a festival like no other in Sub-Saharan Africa, and perhaps even anything in the universe. With an estimated 28 thousand attendees this year, it is much bigger then Daisies, Oppi, even bigger than the legendary Lake of Stars. 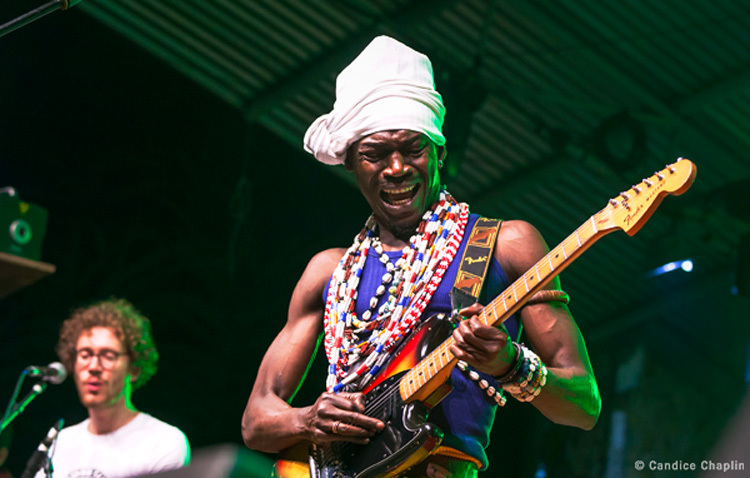 Now in its 10th year, Bushfire 2016 saw a celebration of musicians from all across the Mother Continent, even a few from North America, Australia and Europe. The number of excellent artists that were new to me at this festival is remarkable, attesting not just to how much I need to revamp my music collection but to the fine effort made by Jiggs Thorpe and the team on assembling this line-up. This article is pretty long because I assume many have not made it to Bushfire yet and it is important that you understand what you are missing out on. Because I care about you. I do. Next on our schedule was a Spanish duo called Za! Hailing from the capital of Catalonia, these two are to Buddy Holly what Michael Jackson was to an oboe. Not everyone is going to get it, they are musically very experimental, but their conviction is all anyone needs to move their body as if someone found the switch for gravity and could not help but give it a few haphazard flips.  Australian five-piece Kingfisha played that perfect type of afternoon Reggae, followed on stage by some unsettled Cape Townians in retro jerseys and then onto the masterful Vaudou Game. This man from Togo is an absolute champion. In tight yellow bellbottoms and enough beads and shells around his neck to warrant a serious look into environmental impact studies on his wardrobe, this guy has that Jimi Hendrix flair that does not come around often. Hardly ever. With a bunch of Frenchmen in tow for backup, he struts the stage and held the Bushfire crowd right to the end. Our last highlight of Day One was a lady from Egypt whose father was a poet. 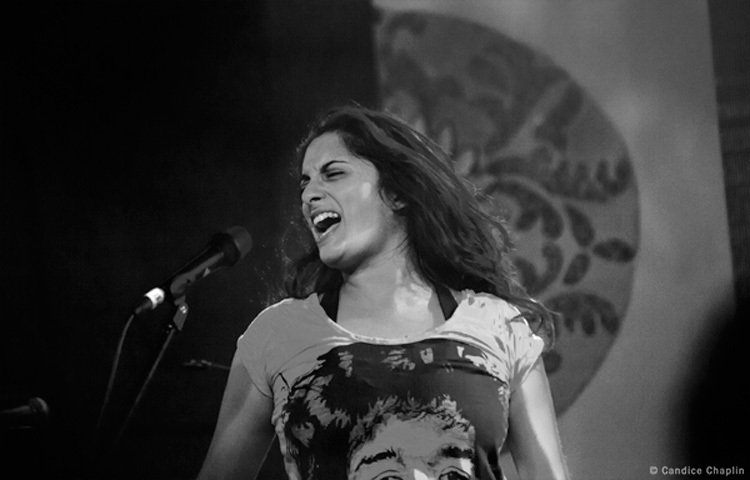 Hagar Samir and her mother now rework these Arabic poems into Hebrew arrangements used by the seven-piece band to weave extraordinary Jaffa Street grooves. 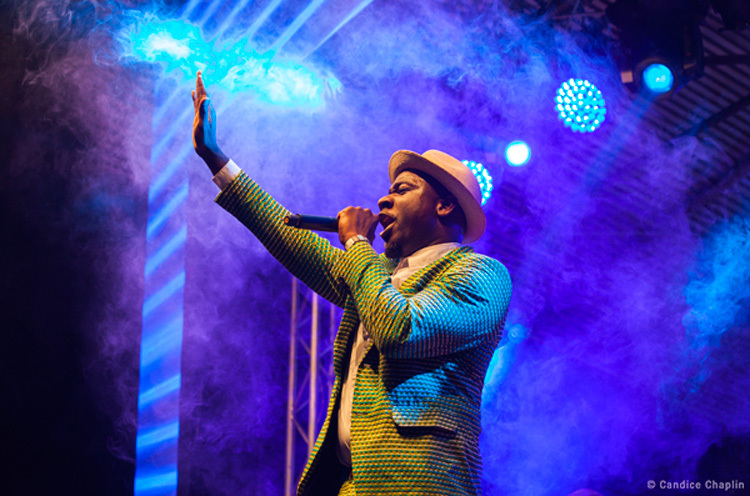 The soulful performance saw the House on Fire amphitheatre stage packed with people jiving and swirling – an experience so artfully executed that it is not soon to be forgotten. Day Two started with a stopover at the Redbull stage, a samoosa breakfast and an influx of people. After a performance by the Correctional Services choir came Living Room from Austria, renowned to be the world’s first clarinet and hang duo. Potentially the only. The hang’s ethereal percussive power, coupled with the woodwind veering tones makes for the ideal morning ambience. If you have ever been lucky enough to see footage of Ravi Shankar’s performance at the Monterey Pop Festival, you can imagine what these guys are trying to get at. Next we settled in to be transported around the walls of our minds to the sounds of distinguished Marcus Wyatt’s One Life in the Sun. 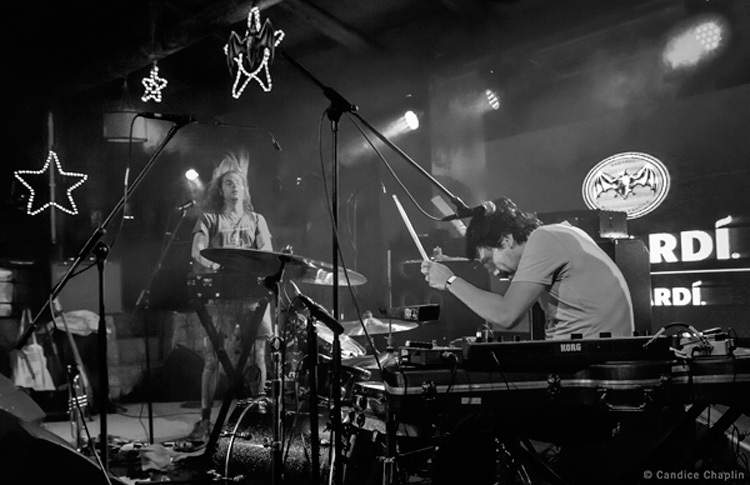 It was unfortunate that there were some technical shortcomings before and during their exquisite set. Fortunately, Marcus and a few of the other brilliant jazz musicians would come together later on stage under the guise of the much anticipated and fresh Bombshelter Beast (another of Mr Wyatt’s prodigious projects). We had to make haste back to the main stage to catch the opening moments of Bholoja, the immensely talented Swazi singer/songwriter/musician and most chilled dude you can imagine. Amongst his lofty accolades is the fact that the mic-dropping President of the US has sent him a letter of acknowledgement, probably asking how to be so utterly cool. There was a moment onstage where, after getting the crowd involved with a chant and raising everybody’s energy to a soulful vibration he took a step back, looked down and tuned his guitar in the exact manner that you could see him doing it in his room playing to an audience of furniture. His absolute togetherness and grace deserves massive respect, as does his music. After trundling off to check out The Barn venue we were serendipitously met by a Mr George Worthmore. 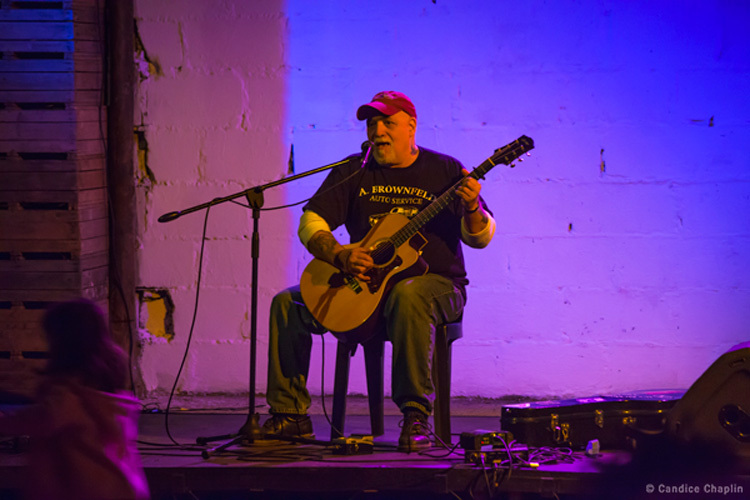 Witty, expressive and with some of the fastest blues fingers you ever did saw, this Southern gentleman played an intimate gig, not shy of using the PA system to tell festival goers standing around the outside of the Barn to keep it down. He jammed a bluesy cover of the Tennessee Waltz as if he wrote the original. 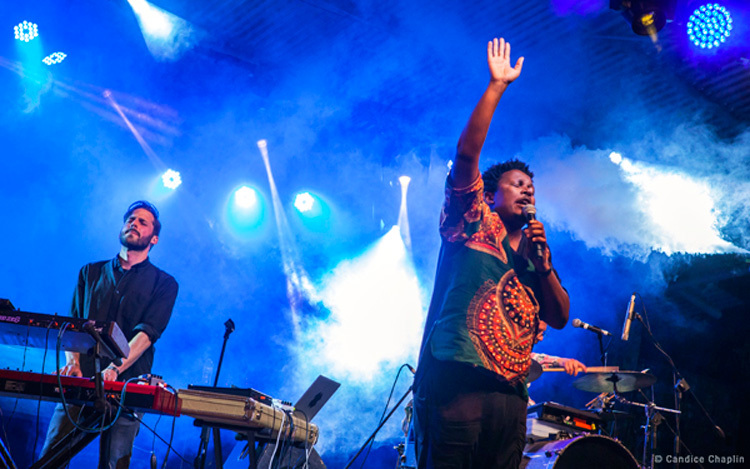 During the groovy set of Pablo Nouvelle from Switzerland, complete with footage from the grill of a car road-tripping through the Swiss Alps as visuals, Bholoja joined them on stage to perform an emotive Swazi ballad. It is here I realised what I liked so much about this event. 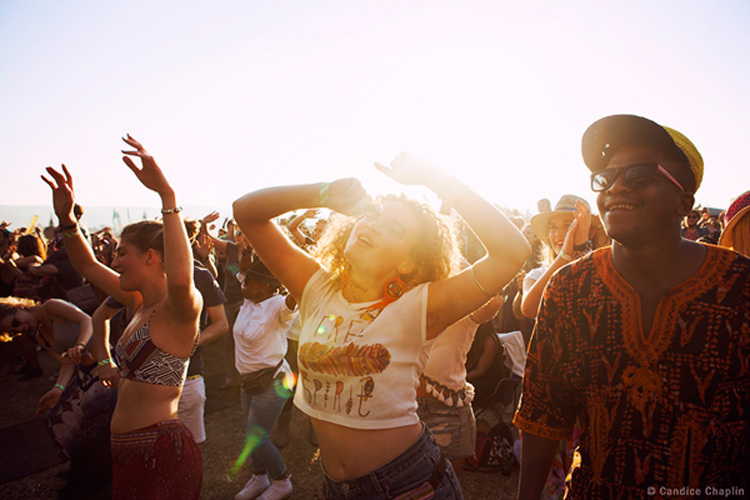 There is such diversity in music and such a diversity in crowd and it is just so much more representational of an African country than anything I had ever experienced before. Sure, there are only about 30% locals, but for context please take into consideration the location and size of the Kingdom and the fact that the population is less than 0.2% of the continent’s population. People mix in a spirit of peace and tranquility, they sing along and dance and joke together like real brothers and sisters. It is something to behold, and it is less common in the broader lives we live than some want to admit. It is a pretty special thing, without getting too soppy. Next up Felix Laband did what he does best, including a few new tracks that seem to have calculated whiffs of deep house flavours, and everybody attending again realised what a genius he is. And then it was time for Afro-futuristic Bombshelter Beast. 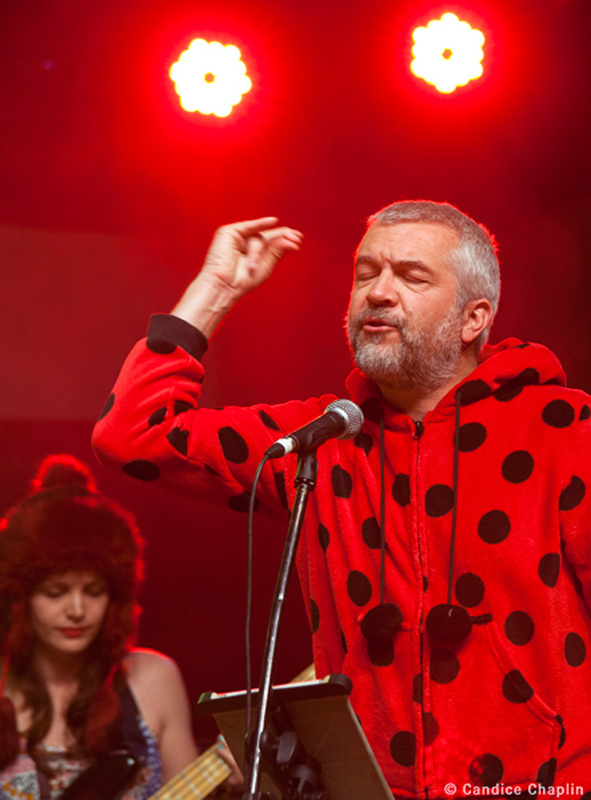 If you have not seem them, it is very difficult to describe how they use Balkan beats with Brass Band instruments to allow Opera singers, Hip-Hop artists and poets alike to create a jazz fusion theatre performance. That is my one sentence attempt. Take it or leave it. But do check them out if you ever get the chance. 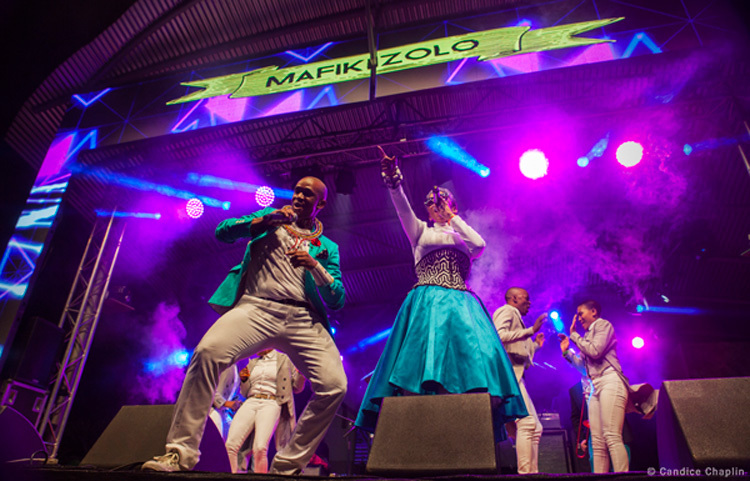 There is not a lot more to say about Mafikizolo. 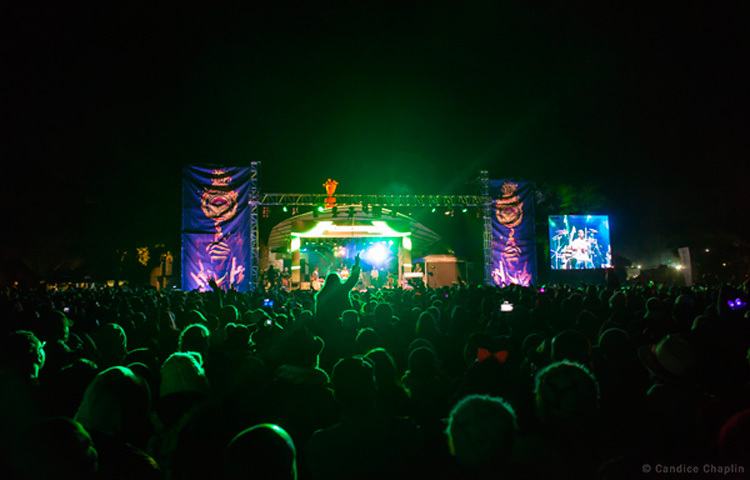 Their Bushfire debut was a highlight for the majority of festival goers, drawing almost the entire crowd. Think close to 20 000 people, singing along to perfectly co-ordinated, immaculately dressed dance moves to those classic sounds. They are such excellent performers and worthy of what one of the event organisers called the most mental thing that ever happened to them at an MTN Bushfire. Blitz the Ambassador from Ghana via the US came out spitting super fast lyrics over brassy electronic tunes, reminding me of a few Tumi and the Volume tracks. 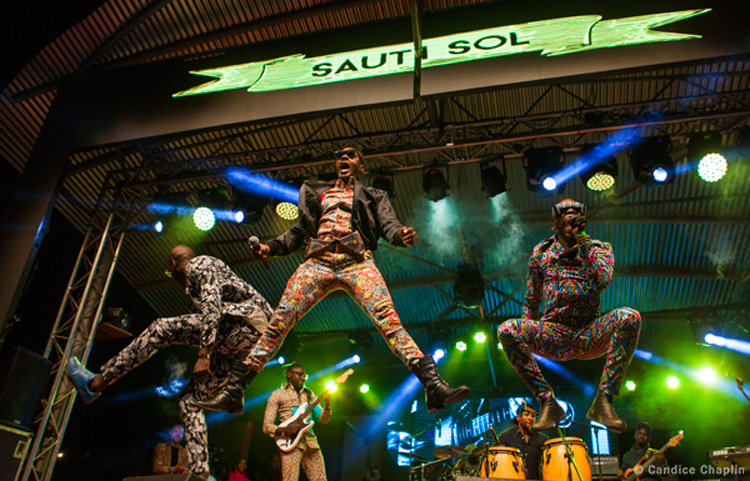 He has a marked ability to organise a crowd and was all in all a very funky performer, setting the stage for the manband trio from Kenya, Sauti Sol. Their suits had an organised Jackson Pollock-esque quality, like tie-dye houndstooth two pieces that just demands your attention. These guys rocked the stage track after track, occasionally losing a piece of couture as things intensified and their moves got bigger. 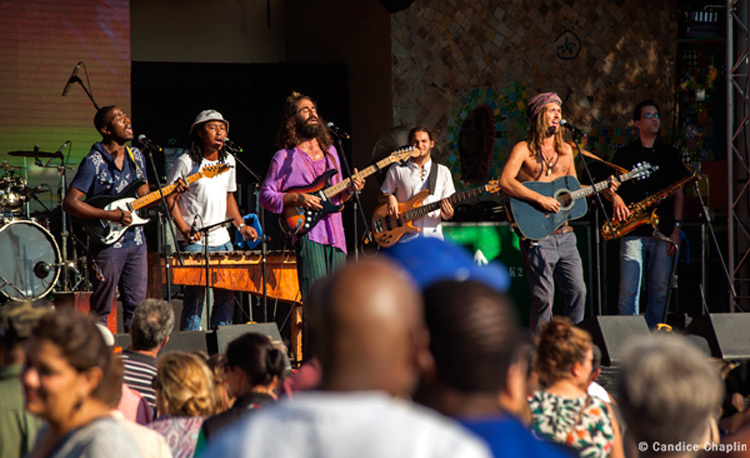 From Rock drumming to Sophiatown influences, English mixed with Swahili, their popular blend of reggae and other influences allows each performer to feature and the show comes across as very balanced. Word has it that the stage manager had to deal with a uniquely serpentine issue in their dressing room before (there is also apparently footage of this online) and this in no way affected the professional demeanor that the performers displayed. Big ups. The epic day culminated in the artist who holds the title as having the most requested single of any African artist to date, Ice Prince from Nigeria. Ever so often he would stop mid-track to speak to someone in the crowd and have a laugh. His stage presence was impeccable, much merriment was to be had and so after a long day of taking it all in, it was time again to go sit around a fire and scatter your brain with some new friends. It is worth mentioning that Bushfire donates all its proceeds to charities, providing food for the Young Heroes children, giving assistance and a providing a market place for 750 rural artisanal ladies via Gone Rural Swaziland and then working with a multifaceted action approach to better these ladies’ communities through the boMake Rural Project. We spoke to a lady from Kenya who had, along with a whole bunch of other people, cycled the border of Swaziland as part of the Swazi Cycle event to raise money for these charities, concluding with their arrival at the festival. She also told us that the artists from Mali were stuck at the border which was why things had not gotten started on the main stage. Had she not told me this, I would not even have noticed that the music was half an hour late, the crowd was so relaxed about it. [Admittedly, this was helped along tremendously by the bringer of Balkan (and many other) beats Toby2Shoes who kept the crowd smiling and grooving on numerous occasions throughout the weekend. Not long after, The Rudimentals got up and did that great thing they do, got the whole crowd bouncing and the final day of the festival was officially under way. On the main stage Songhoy Blues had arrived from Mali after those troubles entering the Kingdom. 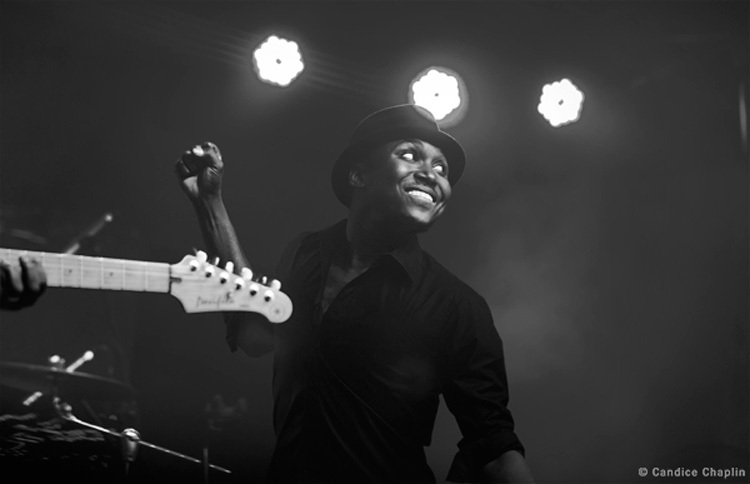 Dressed in all black, the frontman moves like a flash with a cracking smile to fit. Their energetic set made up for any grievances any(hypothetical)body could have had with the changing of schedule. 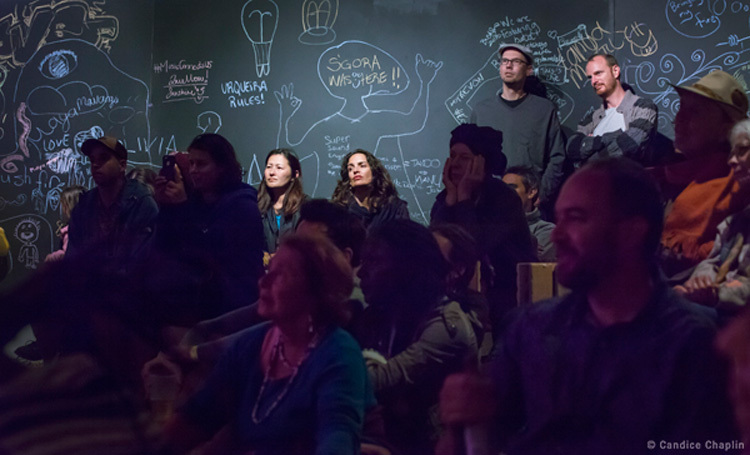 By the end of their gig the Sunday night crowd was pretty much in a fervour. From the island of La Reunion, a fiery frontlady by the name of Maya Kamaty brought a group of musicians so eclectic that the only other setting you could imagine seeing these four united would be on a philosophy panel discussing the impact of self-aware super robots on the communal self-confidence of mankind. In their traditional Maloya tracks Ms Kamatay exploded with passion and successfully got those seated in the crowd to get involved. Jumping off stage to dance with the crowd she hit upon a young guy who had just arrived, a guy who knows how to dance, and the two of them electrified the expanse of the amphitheatre. 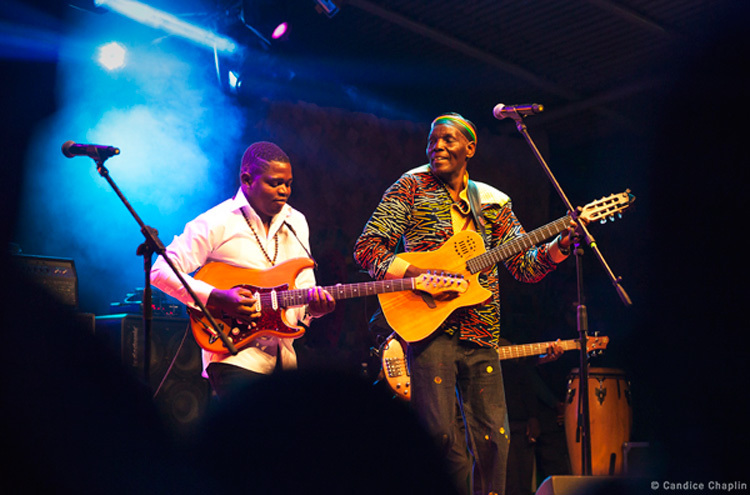 After a short yet heartfelt closing ceremony with the Bushfire crew on stage, the artist to close the festival turned out to be the great Zimbabwean man, legendary African icon, the Tuku Train himself, Mr Oliver Mtukudzi. He played with his stately style wearing the face of a man who had seen just less than too much. There was a prevailing feeling that we were witnessing something special. His encore came as only he and his musicians can deliver. It was a fine closing to a full weekend experience. Spirits were soaring and many new friendships forged. Someone made a comment, that although being slightly romantic and perhaps a bit twee, it is nonetheless very true. They said that Bushfire is an example of what South Africa could be like. Take that and unpack it as you may – it is a festival, it is rather expensive, there are logistical imperfections, you do get some disrespectful Peace Corps, little shites et al – the fact remains that you walk away with that sense of hope in the future of our eye-wateringly abused, yet calmly resilient, continent and for that I feel a great sense of responsibility and gratitude. If you do go next year to experience all of this, do not forget to breathe and do not forget and bring your Your Fire.